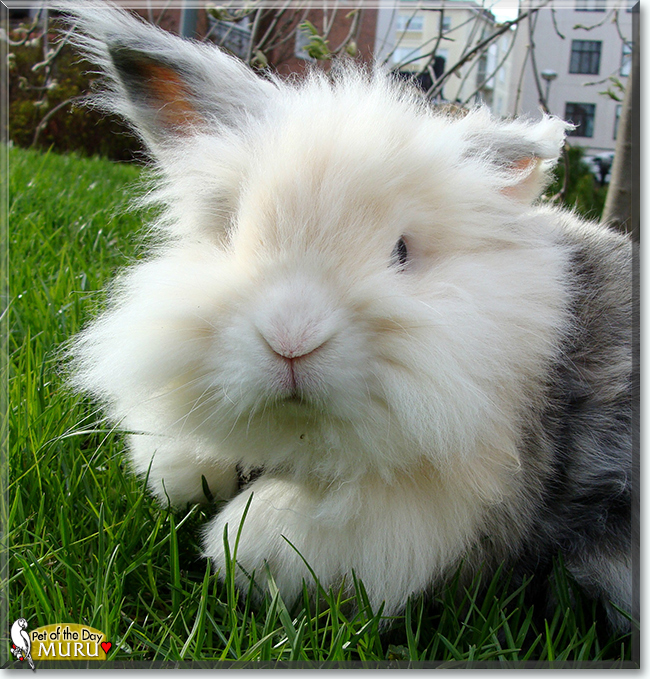 My pet is the loveliest and friendliest rabbit that I have ever seen. 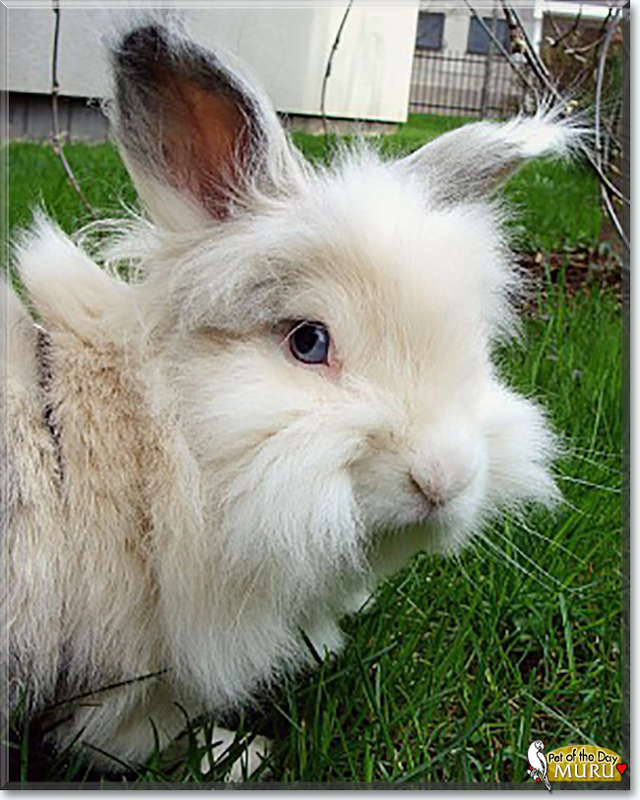 He is Miniature lop 50% and Lionhead 50%, so a mixed breed bunny. He is so social also and he loves his family. He is so pretty and furry. He has blue eyes too. He is almost seven years old now, but still acts like a young bunny. 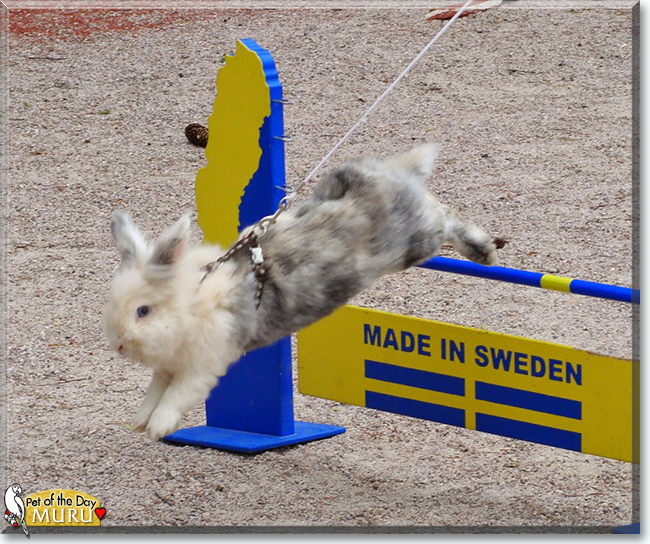 Muru enjoy participating in rabbit jumping - which is like agility for dogs, but modified with bunny-sized jumps and obstacles. I included a picture from that so you can see! He is just the best pet bunny in the world! Talk about Muru in Pet Talk!